Traditional pipe repair and installation involves the damaging of structure and really produces a big mess. With our Closed Circuit Television Video inspections, we can pinpoint the problem with less of the hassle. 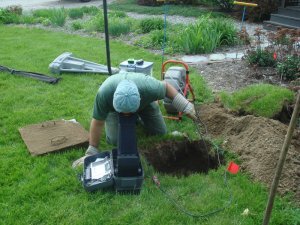 Closed Circuit Television Video (CCTV) pipe inspection is a process that involves sending a camera through sewer lines to examine the state of the pipes from within. Upon review of these videos, we are able to identify, in extreme detail, any deficiencies in the sewer system. CCTV inspection also allows us to evaluate the effectiveness of various maintenance procedures.